Join us for a spring evening of poetry and music at the Outhouse Bar. 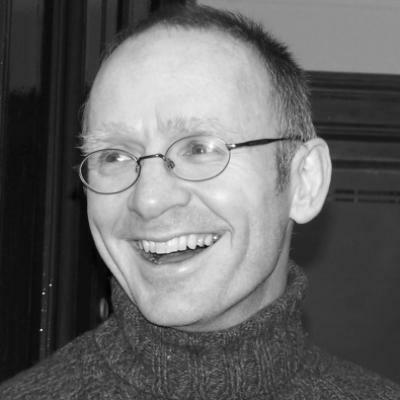 We’re delighted to welcome Gaelic poet, Peter Mackay to Shore Poets. We’re also excited to announce that Miriam Gamble has joined our team – so this is her first reading as a Shore Poet. This is our last meeting at The Outhouse Bar. They’ve been brilliant hosts, but we’re ready to try something different – a new day and venue. From May 29th, Shore Poets will be on the final WEDNESDAY of the month, at the Canons’ Gait cellar bar on the Canongate. Same time (7.00-9.30) and mix of excellent poetry and music. Chaidh Gu Leòr, a chiad chruinneachadh le Pàdraig MacAoidh, fhoillseachadh le Acair ann an 2015; bha sin air gearr-liosta na Duaise Saltire airson Leabhar Bàrdachd na Bliadhna. Tha a chuid bàrdachd air nochdadh fad ’s farsaing ann an irisean ’s paipearan-naidheachd agus air an rèidio, agus chaidh a thionndadh gu Gearmailteach, Frangais, Gaeilge, Seicis, Slòbhacais agus Beurla. Tha e cuideachd na cho-dheasaiche air An Leabhar Liath (Luath 2015). Rugadh agus thogadh e ann an Leòdhas; tha e a-nis a’ fuireach ann an Dun Èideann agus ag obair na oraidiche aig Oithigh Chill Rìmhinn. Bu chòir gum bi dàrna chruinneachadh leis, Nàdur De, a’ nochdadh ann an 2019. Peter Mackay’s first collection Gu Leòr was published by Acair in 2015, and was shortlisted for the Saltire Scottish Poetry Book of the year. His work has appeared widely in magazines, newspapers and on radio, and been translated into German, French, Irish, Czech, Slovak and English. He is also co-editor of An Leabhar Liath (Luath, 2015). He was born and raised on Lewis, and now lives in Edinburgh and works as a lecturer at the University of St Andrews. His second collection, Some Kind Of, should appear later in 2019. Originally from Northern Ireland, Miriam Gamble lectures in Creative Writing at the University of Edinburgh. Her collections are The Squirrels Are Dead (2010), which won a Somerset Maugham Award, Pirate Music (2014), and What Planet(2019), all published by Bloodaxe. She has been a mentor on the Clydebuilt and Ledbury Emerging Critics programmes and a judge on the Seamus Heaney Centre Prize and the Saltire Poetry Book of the Year Award. nick-e melville is a poet, teacher and occasional artist with a PhD in creative writing from the University of Glasgow. he has had 13 small press publications, and has been anthologised in various publications, been exhibited and been an exhibitionist. one future book will be ABBODIES COLD, hopefully Autumn this year, as well as the anthology Makar/Unmakar: 12 Poets in Scotland (Tapsalteerie) in a couple of months. Fiona Forbes is a member of the long-standing vocal trio Sangsters, and is a recording artist on Greentrax. With an eclectic musical taste, Fiona has sung jazz and popular contemporary music but is best known for singing Burns and Traditional material. Fiona was involved with the award-winning Far, Far from Ypres show, which won “Event of the Year” at the 2019 Trad awards and which was a hugely enjoyable project for all the show’s cast. Fiona was the only female singer in the “Pals” regiment CD which preceded the show. Well known locally as a compere and volunteer in Kirkcaldy Acoustic Music Club which completes the list of Fiona’s wide-ranging involvement and interest in music. We should have a wildcard spot this month. Please mention to the person selling tickets that you’d like to put your name in the hat (ideally we will ask you, but sometimes we forget to ask and then we feel sad once we remember our omission). Bring a poem to read in case you’re chosen! You’ll have three minutes (this includes any preamble or introduction – it’s a good idea to time yourself in advance to make sure you’re within the time limits). See you on 28th April! We’re back at The Outhouse at the end of March for a terrific line-up of poets; Helena Nelson, Martainn Mac an t-Saoir and Roseanne Watt, supported by fantastic singer-songwriter Andy Shanks. Helena Nelson is a poet, critic, editor and publisher (HappenStance Press). Her first collection was Starlight on Water (Rialto 2003). This was followed by Plot and Counter-Plot (Shoestring, 2010), and a light verse collection Down With Poetry! (HappenStance, 2016). Another light verse pamphlet (Branded) is due out from Red Squirrel later this year. Màrtainn Mac an t-Saoir (Martin Macintyre) and his family live in Edinburgh. He has been a Shore Poet since 2010. He works as a medical doctor and a writer and is involved in a number of Gaelic initiatives in the city. He was brought up in Lenzie near Glasgow, his father being originally from South Uist. He is an author, bard and storyteller and has worked across these genres for many years. His early poetry was published in Let Me Dance With Your Shadow in 2006, and in 2007 he was crowned ‘Bard’ by An Comunn Gàidhealach. He has been interested in Gaelic songs and singing for many years and has competed at various National Mods and reached the final on a number of occasions including 2017. Besides his poetry and two novels he has written two collections of short stories: the first in 2003, Ath-Aithne (Re-acquaintance) – recently translated into French – won The Saltire Society First Book Award; while his latest collection, Cala Bendita ’s a Bheannachdan (Cala Bendita and its Blessings), was shortlisted for both The Donald Meek Award and The Saltire Literary Book of The Year in 2014. Andy Shanks is an award-winning singer-songwriter from the North East of Scotland. He is best known for his work with Jim Russell on their critically acclaimed album ‘Diamonds in the Night’ and for his songs which have been recorded by many artists, most notably June Tabor. His solo set is a journey though stories and characters he has met on the way, often moving from traditional to jazz and country depending on the tale. Lyrically, his songs conjure up close observations of the characters and landscapes of Fife and Aberdeenshire, often taking a swipe at contemporary Scots culture. Andy has toured extensively in Scotland and as far afield as North America, recording and performing with many fine musicians. He most recently worked with Christine Kydd on her new album ‘Shift and Change’. He is also a passionate advocate for Scottish writing and culture, most recently appearing in the BBC documentary ‘The Promised Land’ championing MacDiarmid’s ‘A Drunk Man Looks at a Thistle’ and its place in Scotland’s cultural revolution. The lemon cake raffle provides us with much-needed funds, so we very much appreciate your support. And it is a most excellent lemon cake. We may also have some excellent poetry books to raffle. If you’re lucky, you may get to choose – what will it be? Cake, or poetry? We will have a wildcard spot this month. Please mention to the person selling tickets that you’d like to put your name in the hat. Bring a poem to read in case you’re chosen! You’ll have three minutes (this includes any preamble or introduction – it’s a good idea to time yourself in advance to make sure you’re within the time limits). Happy New Year! The first Shore Poets event 2019 season is almost upon us and we’d love you to join us! Please come along and help us celebrate our first selection of poets for this year. 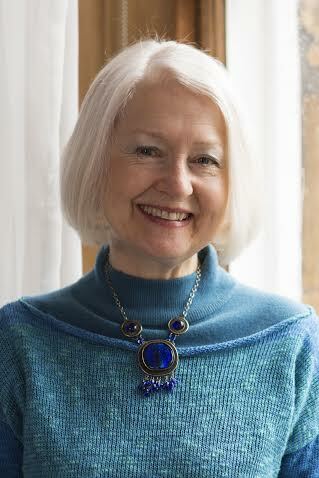 We’re delighted to welcome back honorary Shore Poet and much-loved Edinburgh poet Diana Hendry. She’ll be reading alongside her partner; the poet, publisher and current Shore Poet, Hamish Whyte. If you haven’t heard them read together before, you’re in for a treat. They’ll be joined by Rex Sweeny who is this month’s new poet and our musicians – the talented trio, Tribaiser. Diana has published six collections of poems, including Making Blue, Borderers and Late Love & Other Whodunnits (all Peterloo Poets) and The Seed-Box Lantern: New and Selected Poems (Mariscat). Her most recent collection is The Watching Stair (Worple Press, 2018). In 2015 she collaborated with Douglas Dunn and Vicki Feaver in Second Wind (Saltire Society/Scottish Poetry Library): poems on ageing. She has also written over 40 children’s books, including the Whitbread-winning Harvey Angell and recently The Seeing which was shortlisted both for the Costa Prize and Scottish Book of the Year. A junior novel, Out of the Clouds, came out from Hodder in 2016, with a sequel, Whoever You Are, in 2018. Her short stories have been widely published and broadcast. She was the first writer in residence at Dumfries and Galloway Royal Infirmary and from 2008 to 2010 she was a Royal Literary Fund Fellow at the University of Edinburgh. She has recently co-edited New Writing Scotland. Diana will be reading at StAnza on March 9th. Hamish has had three collections of poems published by Shoestring Press, A Bird in the Hand, The Unswung Axe and Things We Never Knew (the last published 2016). A pamphlet Now the Robin came out from HappenStance Press in 2018. He has also edited many anthologies of Scottish literature, including Mungo’s Tongues: Glasgow Poems 163-1990, An Arran Anthology, Kin: Scottish Family Poems, Scottish Cats (Birlinn 2013) and most recently Ten Poems About Robins (Candlestick Press, 2018). He runs Mariscat Press, publishing the poetry of Edwin Morgan, Stewart Conn, Douglas Dunn, Jackie Kay, Gael Turnbull, Christine De Luca, Diana Hendry and Jim Carruth among others. In 2015 Mariscat won both the Callum Macdonald Memorial Award and the Michael Marks Award for poetry pamphlet publishing. He is an Honorary Research Fellow in Scottish Literature at the University of Glasgow, a member of Edinburgh’s Shore Poets and plays percussion with the band The Whole Shebang. Originally from Sussex, Rex Sweeny spent twelve years in Oxford before moving to Scotland and has lived in Edinburgh since 1989. He organises and hosts the annual CultFusion poetry event for Leith Festival and his work has appeared in The One O’Clock Gun, Torn Pages and the 2013 anthology New T@les From The Old Town. A group of three Heriot-Watt musicians, and more so very good friends, comprising of Fraser Sharp, Kyle Kinnear and Jack Lodge playing drums, jazz keys and trombone respectively. The trio is set to enjoy its second consecutive year playing at the event following a year of musical road trips and music courses around the West and North coasts of Scotland! The lemon cake raffle provides us with much-needed funds, and of course provides one lucky winner with a very excellent lemon cake. Sometimes we have poetry pamphlets in the raffle too. If you would like to be notified of our monthly events, please follow this blog, by clicking the follow button in the corner. You can also follow us on Facebook and Twitter. We’re back at the Outhouse bar this month, on Sunday 28th, for a vibrant and varied evening of poetry and music. We’re delighted to welcome Tom Pow as our headline poet. Alongside Christine de Luca and Tammy Adams, we’re in for an entertaining and lively evening. But don’t forget that the clocks go back this weekend! Our Open Night will be on November 25th, when much of the evening is handed over to up-and-coming poets. The signup period is now open. Please throw your name in the hat for two, 3-minute readings by email only to shorepoetsedinburgh @ gmail.com by the end of the day on Saturday 10th November. We’re looking for ten poets and will select on a first-come-first-served basis. Tom Pow has written across a range of genres, including fiction, non-fiction, drama and works for children. But he is primarily a poet. His work explores the domestic, but it also travels to other places and other periods. Dear Alice, Narratives of Madness concerns the legacy of a nineteenth century lunatic asylum, while A Wild Adventure is a speculative poetic biography of Thomas Watling, a Dumfries forger transported to Botany Bay. In The Becoming, New and Selected Poems, was published in 2009 and Recolectores de Nueces, a bi-lingual selection of poems, translated by Jorge Fondebrider, was published in Mexico in 2016. He can be heard at The Poetry Archive. His most recent publication is Barefoot: the collected poems of Alastair Reid of which he was editor. Christine De Luca lives in Edinburgh. She writes in English and Shetlandic, her mother tongue. 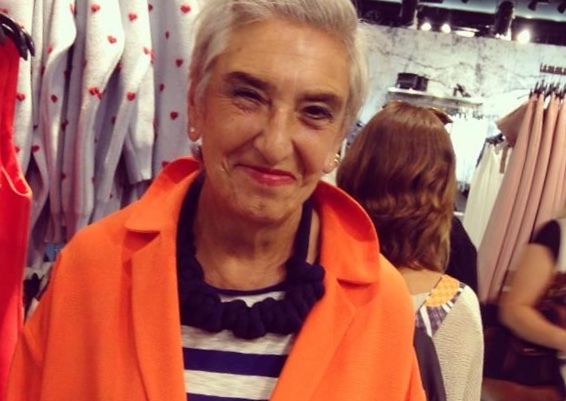 She was appointed Edinburgh’s Makar for 2014-2017. Besides several children’s stories and one novel, she has had seven poetry collections and four bi-lingual volumes published (French, Italian, Icelandic and Norwegian). She’s participated in many festivals here and abroad. Her poems have been selected four times for the Best Scottish Poems of the Year (2006, 2010, 2013 and 2015) for the Scottish Poetry Library online anthologies and her pamphlet collection Dat Trickster Sun was short-listed for the Michael Marks pamphlet prize. Paolozzi at Large in Edinburgh, co-edited with Carlo Pirozzi, is being launched at Blackwell’s on Thursday 31st – it includes new poems in English. Tammy lives in Dunbar and is a member of Tyne and Esk writers. She started writing poetry in 2014 and has seen poems published in The Interpreter’s House and on Lighten Up Online. She has also provided poems to no-poetry magazines The Scottish Planner and Full Potential, the magazine produced by Downs Syndrome Scotland. She was longlisted in this year’s Plough Poetry Prize and has previously been a top 10 finalist in a Poems on a Beermat competition. Some of her poems are inspired by her work as a town planner. Other spring from random thoughts or events. She loves writing poetry as a way to shoo words and worries out of her brain, and to bring a smile to people’s faces. We will have a wildcard spot this month. Please mention to the person selling tickets that you’d like to put your name in the hat (ideally we will ask you, but sometimes we forget to ask and then we feel sad once we remember our omission). Bring a poem to read in case you’re chosen! You’ll have three minutes (this includes any preamble or introduction – it’s a good idea to time yourself in advance to make sure you’re within the time limits). John Glenday is the author of four poetry collections. The Apple Ghost (Peterloo Poets, 1989) won a Scottish Arts Council Book Award and Undark, was a Poetry Book Society Recommendation for 1995. His third collection, Grain (Picador, 2009) was also a PBS Recommendation and shortlisted for the Ted Hughes Award and the Griffin International Poetry Prize. His fourth collection, The Golden Mean, (Picador, 2015) won the Roehampton Poetry Prize and was shortlisted for the Saltire Scottish Poetry Book of the Year. Jane McKie’s collections of poetry are Morocco Rococo (Cinnamon Press, 2007), When the Sun Turns Green (Polygon, 2009), and Kitsune (Cinnamon Press, 2015). In 2011 she won the Edwin Morgan poetry prize and published a pamphlet, Garden of Bedsteads, with Mariscat Press, a PBS Choice. Her most recent pamphlet is From the Wonder Book of Would You Believe It? (Mariscat Press, 2016). She has an academic background in Psychology, Anthropology, Philosophy and Literature, and is a Lecturer in Creative Writing at the University of Edinburgh and an Advisor to the Edwin Morgan Trust. Alice Tarbuck is a writer and academic living in Edinburgh. Her first pamphlet, Grid, was published in spring by Sad Press. She has undertaken commissions for Timespan Festival in Helmsdale, and Scottish PEN. Her work has appeared in numerous journals and she is part of 12, a female poetry collective based in Edinburgh. Dekoy is a local band – a beat combo – playing music mainly from the 50s and early 60s: Buddy Holly, Everly Brothers, Fats Domino, Drifters, Jim Reeves, Hank Williams et al. The line-up is Roy Cook (vocals and guitar), Derek Copland (Fender stratocaster), Al Gray (electric bass) and Hamish Whyte (drums). For our final event of the season, we’re delighted to welcome Miriam Nash and Samuel Tongue to Shore Poets. They’ll be joined by Graham Walker on saxophone. Please join us at The Outhouse on the last Sunday of June for a summer evening of poetry and jazz. Miriam Nash was born in Inverness and grew up in Scotland, England and Wales. Her first poetry collection, All the Prayers in the House, was published by Bloodaxe in 2017. She has performed her work internationally and brought poetry in schools, museums and prisons in the UK, USA and Singapore. Her collection won an Eric Gregory Award from the Society of Authors in 2015 and was runner-up in the Edwin Morgan Awards 2016. In 2014 she was awarded a Fulbright Scholarship to complete a MFA at Sarah Lawrence College in New York. Samuel Tongue’s first pamphlet collection is Hauling-Out (Eyewear, 2016) and his second, stitch, is forthcoming with Tapsalteerie in June. Poems have featured in publications such as Blackbox Manifold, Compass, Envoi, Gutter, The Herald, Interpreter’s House, Magma, Northwords Now and The Scotsman, and the anthologies Be The First to Like This: New Scottish Poetry, Best New British and Irish Poets 2016 and the SPL’s Best Scottish Poems Anthology, 2016. Samuel held the Callan Gordon Award as part of the Scottish Book Trust New Writers Awards 2013. Samuel is currently co-editor (with Susie Maguire) of New Writing Scotland and teaches Religion, Literature, and Culture at the University of Glasgow. Kate Hendry joined Shore Poets last year. Her pamphlet, The Lost Original, was published by Happenstance Press in 2016. Her poetry and short fiction has been published in various magazines, including Compass, Gutter, Mslexia, Harpers, New Writing Scotland, The Reader, Rialto, and The North, and anthologies, including Best British Short Stories 2016, Writing Motherhood and Scottish Cats. She has edited two collections of poems for the Scottish Poetry Library: Tools of the Trade for newly qualified doctors, and To Learn the Future, for teachers. She is herself, an English Teacher. Graham Walker is a tenor and soprano saxophonist from the Orkney Islands. Graham recently returned to Scotland after 35 years, the last 23 of which were spent in Belgium (home of the saxophone) where he played with many of the best Belgian jazz musicians. Graham will perform a selection of tunes from the jazz repertoire, as well as more abstract improvisation. See you on June 24th! For our May readings, we’re delighted to welcome two brilliant Edinburgh-based poets to Shore Poets – Alan Gillis and Sarah Stewart. They’ll be joined by Rob MacKillop, performing a world premier of The Manfred Suite by guitarist-composer, Gordon Ferries. Please join us on the last Sunday of the month for a great line up. If you’d like to read a poem alongside our trio of wonderful poets, please bring a poem with you and put your name in the hat at the door – we’ll pick a ‘wildcard’ poet to open the evening. Alan Gillis is from Belfast and now lives in Scotland, where he teaches English at The University of Edinburgh. He has published four poetry collections with The Gallery Press: Scapegoat (2014), Here Comes the Night (2010), Hawks and Doves (2007) and Somebody, Somewhere (2004), which won the Strong Award for Best First Collection in Ireland. He has also been shortlisted for the T. S. Eliot prize, and for the Irish Times Poetry Now Award. In 2014 he was selected as a ‘Next Generation Poet’ by the Poetry Book Society in the UK. As a critic he is author of Irish Poetry of the 1930s (2005), and co-editor of the Oxford Handbook of Modern Irish Poetry (2012), both published by Oxford University Press. From 2010-2015 he was editor of Edinburgh Review. A Selected Poems entitled Scapegoat and Other Poems was published in the USA by Wake Forest Press in 2016. Frank has been writing poetry and prose for many years, with several novels in his drawer. He plays violin and viola in several ensembles around Edinburgh, in The Whole Shebang, in Holm, and in the St Andrew Orchestra. He is the music facilitator for Shore Poets. Sarah Stewart is a writer and editor based in Edinburgh. She was a UNESCO City of Literature Writer in Residence in Krakow in 2017, and her poetry has appeared in Anon, Gutter, The Honest Ulsterman, Mslexia, New Writing Dundee, The Pickle Jar, The Scotsman, and in the anthologies Be The First To Like This: New Scottish Poetry and Best Scottish Poems 2014. Her first pamphlet, Glisk, was published by Tapsalteerie this month. Rob MacKillop is guitar player with a wealth of experience in different styles and periods, from medieval Scottish music on lute, through to free improvisation on acoustic archtop guitar. For his visit to the Shore Poets he will be showcasing a new guitar (if it arrives from the luthier in time! ), and will include a new improvisation based on the poetry readings he hears at the meeting. Rob will be playing a world premier of a specially commissioned piece by guitarist-composer, Gordon Ferries. It is a five-minute piece for classical guitar, based on the Byron play, Manfred. See you on 27th May! 1) we have a mailing list, and if you haven’t signed up yet, here’s your chance: just click right here and fill in the few bits of information. This is usually only for event notifications and things like ‘looking for slam/open night participants’. You can unsubscribe anytime you want to, although we would be sad if you did. 2) Our email address (take out spaces on either side of the @) is shorepoetsedinburgh @ gmail.com. Emails sent to any other email address go to the great rubbish bin in the virtual sky. Shore Poets APRIL – OPEN NIGHT – sign up! Once again, it’s our Open Night! Yes, it’s our annual Open Night, where much of the event is handed over to up-and-coming poets. The signup period is open until April 14th, so please throw your name in the hat for a 5-minute reading by emailing shorepoetsedinburgh @ gmail.com by the end of the day on Saturday 14th April. [Please don’t use any other email address or leave a comment on a social media platform.] We’ll draw names from that hat and also create a reserve list in case of dropouts. Angela McSeveney became a Shore Poet in 2003 and Treasurer not long after. Her first collection of poems, Coming Out With It, was published in 1992, after she received advice and encouragement from fellow writers Liz Lochhead and Ron Butlin. She has since published three pamphlets, the most recent of which, Still Bristling, was published by Mariscat Press in 2012. She lives in Edinburgh. Esperi is Scottish multi-instrumentalist Chris James Marr. His music ranges from acoustic storytelling to colourful electronica looping and combining different sounds with his acoustic guitar. He uses a host of instruments from the conventional to the unusual including his signature rainbow-coloured bells, toys, tools, samples (including his son Callum’s heartbeat which features in the song Somersaults which was released on the day he was born). Chris lives in East Coast Scotland and predominantly writes about his family, dogs, home and the great outdoors. We will not have a wildcard spot this month. See you on 29th April! 1) we have a mailing list, and if you haven’t signed up yet, here’s your chance: just click right here and fill in the few bits of information. You can unsubscribe anytime you want to, although we would be sad if you did. 3) Dates for your diary: the final Shore Poets events of the 2017-18 season will be 27th May and 24th June 2017. Shore Poets FEBRUARY: James Robertson, Annie Pia, Christine De Luca + Andy Miller + Kathleen Jamie and MOMA! James Robertson is a poet and novelist, as well as a publisher. He’s been awarded the Saltire Scottish Book of the Year award twice, and has been writer in residence at the Scottish Parliament. Like any good poet (and he is definitely a good poet), he has a page on the website of the Scottish Poetry Library. Based in Edinburgh, Annie has been published in Northwords Now, Poetry Scotland, New Voices Press and London’s South Bank Poetry Magazine, and her work has appeared online in Far Off Places, poetandgeek and Ink Sweat & Tears. Her poem “Viticuso 1913 and 2005” has been translated into Italian. Christine De Luca, who writes in both English and Shetlandic, is a native Shetlander who has lived in Edinburgh since student days. She enjoys her dual identity and was recently appointed Edinburgh’s Makar or poet laureate (until 2017). Andy Miller is a multi instrumentalist based in Edinburgh. His musical interests range from Old Time American fiddle music and Bluegrass through to Arabic maqam. Andy mainly concentrates on his teaching practice just now and more information can be found at his website. We’re thrilled Kathleen will be joining us, having been chosen as the Mark Ogle Memorial Award poet for 2015, and reading her response to “Clearing”. See the MOMA page for more information. Of course, you’ll have a chance to support Shore Poets and win the amazing lemon cake by participating in our raffle. Often, the raffle includes other prizes donated by our readers or Shore Poets. So even if you don’t win the lemon cake, you could walk away with a prize. Unfortunately, there won’t be a wildcard poet this month as we have the Mark Ogle poet, but dinna fret – that will return next month. You can also join us at our Facebook group.